We are delighted to support some fantastic coaches with sponsorship from TIBHAR and JOOLA. You can read the latest thoughts, events and experiences of our coaching team in the TIBHAR Coaching Blog section! 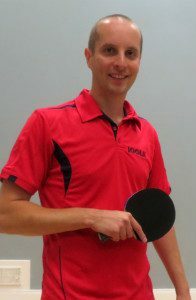 Tom is head coach for Cambridge-Parkside Table Tennis Club. He is also a keen table tennis blogger and publishes table tennis tutorials on his popular Table Tennis YouTube channel. I am currently head coach at Cambridge-Parkside Table Tennis Club. Before this, I helped set up Highbury Table Tennis Club in London. How long have you been coaching and who was an influence for you to start coaching? I started coaching part-time in 2011 and became a full-time coach in 2018. My biggest influence initially was Sanket Shah – a popular community coach in London. I liked the way he created a positive atmosphere in his training sessions. There was always a sense of fun, which made me want to help out too. What part of coaching do you enjoy most? Spreading some table tennis love! I enjoy doing 1-to-1 sessions as you can focus on a player’s specific needs and help the player make big improvements. I also really enjoy working with beginners, especially the ‘lightbulb’ moments, when a player learns a new skill and starts beaming ear to ear. What’s your favourite coaching exercise? 1 or 2 balls to the backhand, 1 or 2 balls to the forehand. This can be done as either multi-ball or with me taking part in the rally. It’s a simple but effective drill for developing technique, rallying skills, recovery and footwork. Who’s your favourite TT Player and why? I enjoy watching Timo Boll – his playing style, his use of spin, how he has adapted his game as he has got older. I also like how his forehand technique is different to many of the other top players in the world. Just shows there are many different ways to play and succeed at table tennis. Joola Rhyzer 48 (forehand), Joola Rhyzer 43 (backhand) with a Joola Fever blade. Focus on consistency, consistency and consistency. What do you like to do to relax outside TT? Sleep. And watch repeats of Bullseye when I get home from table tennis late at night (seriously, I’m a big fan, ONE HUNDRED AND EIGHTY!). Stephen’s enthusiasm and enjoyment of coaching is infectious, he’s an experienced coach at all levels and is currently the National Youth Coach for Table Tennis Scotland. Stephen Gertsen, 31, married, daughter called Jessie and another little monkey on the way in November! I’ve been coaching for 17 years and the biggest influence for me in terms of coaching is Dave Treharne. I find coaching very rewarding, I enjoy a blend of working with complete beginners to elite level. I like working with all ages and abilities but there is nothing more rewarding than seeing a player improve who you have helped from the very beginning of their career, this is a great feeling. I obviously enjoy seeing them win but I also enjoy helping teach them life skills through sport just as much, for me this is very important. Two forehand topspins from middle into backhand block, switch either corner- continuous, bring serve in half way and introduce a free element also. Samsonov – I love the way he uses the table and is so clear about his tactics and placement of the ball around the table, not the most powerful but makes up for that with incredible feel and touch. A great role model for younger players who just want to blast through everything and have no plan B! Tibhar Stratus Samsonov blade with Evolution MX-P rubbers. Don’t take it too seriously, you must enjoy it first, have fun! Spending time with friends and family, both in Scotland and in my hometown of Swansea, I enjoy walks along the beach with my wife and daughter. I don’t mind the occasional stag do! 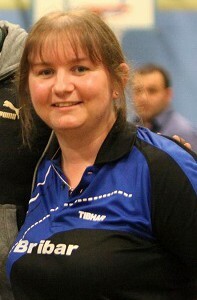 Is currently Head coach for Halton Talent Development Centre and National Coach for the British Para Table Tennis Team! Andrew Rushton, 34, fiancé Karen, 2 children Jack-5 and Harry-7 months. I play for TTC WIL (current champions) Swiss Superleague. I have been coaching since 2009 and I have many influences including Denis Neale, Bradley Billington and my Father. I love the pressure of coaching in matches! Desmond Douglas for the style he played and his approach to the game. I use a Paul Drinkhall Powerspin Carbon blade with Evolution MX-P black and red rubbers. What do you like to do to relax outside TT!? Spending time with my family and kickboxing. 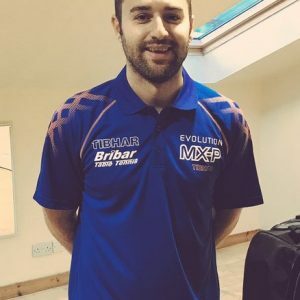 Top player and coach, Craig brings a huge amount of experience to the table and is currently expanding his professional coaching company – Top Edge Table Tennis. Age 31, with wife Amy, Son Freddie and Daughter Molly. I’ve been coaching for around 12 years and it was Tim Manhire (sadly not with us anymore) who got me involved at Crawley Table Tennis Club, helping out at sessions, the odd one to ones, should anyone want them. He was a great character and genuinely wanted to help, which in turn, makes you want to help as well. I really enjoy one to one training, I see and I think the players see, improvements taking place, quicker. It’s very gratifying to see someone achieve something and to know that you’ve helped them get there. Whether that’s someone getting their first England Cap or someone mastering a certain shot. Backhand control, blocking anywhere on the table. It’s a tough exercise, specific to match play and you get to see how hard people can work. Without doubt, Jan-Ove Waldner. In my opinion, the greatest mind that’s ever played. So creative and effortless. The type of player that proves there is more than one way to win a point. I use Joola Rhyzm P on both sides on a Joola Fight TPE blade (straight handle). Work harder, as well as smarter. You need to put the hours of effort into your training but as JOW shows us, you don’t always have to be able to hit 20 forehands to win a point. Experiment with different serves, receives and shots in general, as well as the consistency type training. When TT is your hobby and your job it’s tough to stop thinking about it. When I get the chance, I’m partial to a spot of carp fishing. I also have a very young family, so it’s great to spend downtime with them, in the park, in play centres etc. 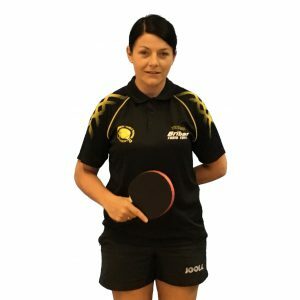 Nat is a former England No 1 and International player, since starting her coaching career, she has held coaching roles with Greenhouse Schools, Table Tennis England and is now working full-time at the Grantham Academy and Charles Read Performance Centre. Age 32, married to Alex Green with 2 children, Chloe 5 and Danny 4 months. Coach at Grantham College Table Tennis Academy and Table Tennis Performance Centre at Charles Read School part of the David Ross Education Trust (DRET). I started coaching in 2002 whilst studying at college and have been coaching full time since 2006. I like being able to pass on my knowledge and experience to the players I work with, it is really rewarding to see when all the hard work pays off and the players get the results they want. I like setting the players drills that get progressively harder through the exercise so that they never feel too comfortable, that way it is much more realistic to a match play scenario. 2 bh, 2 fh from middle, 2 fh from fh moving into Bh block anywhere on the table is a good one. My favourite European player was the Croatian former world number 2 Tamara Boros. She is one of the few European women who could beat the top Chinese, having won a world silver medal in Paris in 2003. She had good serves and a really strong topspin game. Joola Rhyzm rubbers with a Joola Rossi blade. Work as hard as you can in every session and take as much advice from your coaches that you can – make sure you enjoy it and have fun. Spend time with my family, and watching all types of sport. Keta is a former Czech International Table Tennis player with a fantastic defensive style. With plenty of top level experience, she is currently coaching (with Paul Whiting) at the new Talent Development Centre at Eggbuckland Community College. 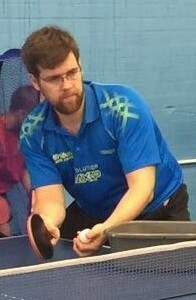 Age 39, partner Kevin Buddell also Table Tennis coach and player, two children Jamie 7, Jessie 4 and two step children Georgia 24 and Ollie 20. 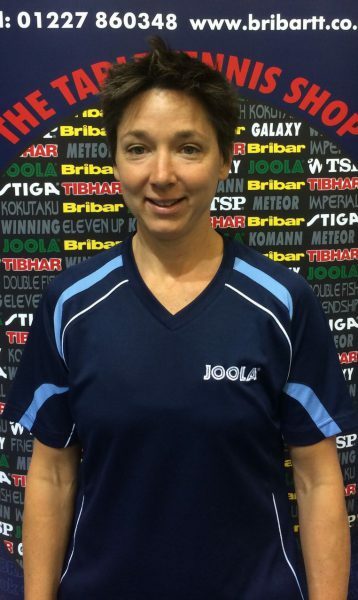 JOOLA Plymouth Table Tennis Club. I have been coaching on and off since the age of 18, my biggest influence is probably my Coach from the Czech Republic, Milu, she has been coaching me for about 8 years, between the age of 12-19 through my most successful years of playing. The most enjoyable part of coaching for me is when I manage to deliver good quality session, the players work hard are engaged and enjoy the session! My favourite coaching exercise is half irregular with one player feeding from BH or FH, the other player plays one from the middle, one anywhere, one middle and one anywhere. Favourite Table Tennis player – Jan Ove Waldner, unbelievable feel for ball, innovative shots and very clever player! Never give up, enjoy, try to practice effectively and don’t waste your time just by being at the session but not giving it everything! Chairman and lead Coach at Bishop Auckland, Matt has quickly developed the club – winning TTE National Club of the Year in 2016 and was personally awarded TTE Coach of the Year in 2014. Age 31, Step son aged 10 and a dog called Russell. I did my old ETTA level 2 back in 2000 but didn’t really start coaching properly until 2004 after I had finished at Grantham Academy and got even more involved at Cliffedale Chandlers TTC. My Grandad was a big influence, he really helped shape my coaching philosophy, he wasn’t a great coach by any means but his patience and calm manner was unbelievable, he would spend hours feeding a ball back for new starters just trying to get them to connect with the ball and then hours learning the forehand and so on. John Mappletoft and Ken Muhr have both helped me massively. Seeing the development in players, not just seeing them master the new skill or pick up that great win, but also helping them develop as people and using sport to provide new opportunities for them. For me has to be Waldner, there was just nothing he couldn’t do and make look easy! I like watching a lot of the new generation Japanese players – they are doing something right with all the new and exciting young players coming through! I use a Tibhar Status Carbon blade with Evolution MX-S rubbers on both sides. Think more, focus and apply in practice – some players receive good advice but as soon as it comes to doing the drills those small words of wisdom are completely forgotten! I like my films, I have a huge collection of DVD’s and I also like Rock music. A very experienced coach and seasoned player, Paul is currently head coach at the Plymouth Talent Development Centre. Married to Debbie with two children Amy and Adam. Joola Plymouth TTC and Head coach at Plymouth Talent Development Centre. 28 years. No influence really just started as a practise partner for local juniors before becoming the Plymouth & District league Coach. I enjoy being at competitions with the players you work with at the club. This gives you the chance to see how they react in pressure situations and look at what areas are strong or need improvement. I don’t have a favourite drill but like exercises that are relevant to the individual players system of play. Sometimes drills can look pretty but don’t aid development. Evolution MX-P rubbers and Paul Drinkhall Carbon blade. Play because YOU love the sport and remember it’s your attitude not your aptitude that decides your final altitude! Cycling and relaxing with family. 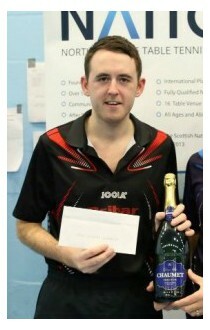 Full time coach and top player, Chris is also development officer at North Ayrshire TTC and Dumfries TTC. 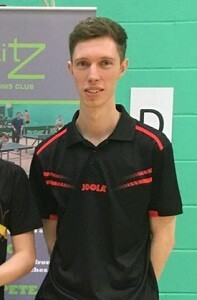 I play for North Ayrshire in Scottish National League Div 1 & British Premier League, I am development officer for North Ayrshire TTC and Dumfries TTC. I have been full time coach for 4 years and I am not sure if one specific person was an influence in why I started coaching. 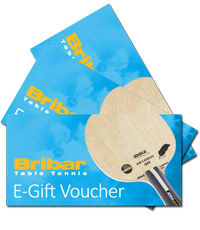 I think I was aware of how much I got out of table tennis and the fun and opportunities I got from it, so I wanted to put time and effort back into table tennis and show others what they can get from it too. Working with players who have a desire to improve. Having two way conversations on the correct mental and technical aspects of table tennis. I enjoy 1-1 coaching as I can tailor the session perfectly for the player. Beginners: Shadow Play (work on technique and footwork without the distraction of a ball). Advanced: Falkenberg exercise (continuous exercise which works on BH topspin, FH topspin, consistency and movement). Possibly a boring or common answer, but would have to be Timo Boll for his positive attitude and longevity. A Joola TPE Fight Blade (Flared handle) and Rhytmz 2.0 Rubbers. Keep working hard and don’t stop believing… ‘Hard work beats talent, when talent doesn’t work hard’. Go on holiday, watch sports, play golf, go out for dinner. 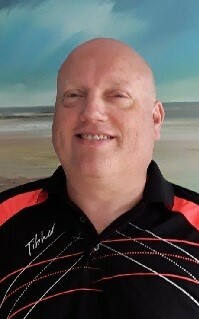 Aad is an extremely experienced coach, having been a National Coach in the Netherlands, ETTA Regional Coach for players with Disabilities and through to his current coaching at Britannia TTC in Ipswich, Stowmarket TTC and NETTS! Born in 1965 and happily married. 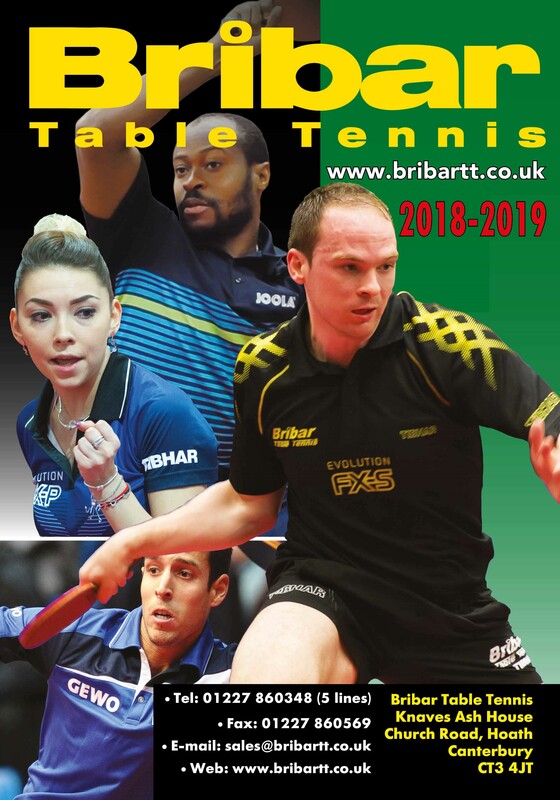 Currently I coach at Britannia TTC in Ipswich, Stowmarket TTC and NETTS in Earls Colne, Essex. During the 2017-18 I hope to run some Suffolk county sessions. In the past I’ve been head coach at Fusion TTC in London, BATTS in Harlow, TTC FvT in Rotterdam, TTV TOGB in Berkel, the Netherlands. I’ve worked for the ETTA as regional coach for players with disabilities and lead Regional sessions for the A- and B-squad (East). In the Netherlands I’ve been Regional coach (U13’s) and national coach for different age groups, up to U21’s. I’ve been coaching since about 1989. I wanted to give something back to the club I started playing at when I was about 11 yrs old: TTV Overschie in Rotterdam, the Netherlands. I don’t think there was someone in particular who was a real influence to start off with. As a junior I relied most on the advice of some of the senior players at the club and the exercises we made up ourselves as younger players playing each other. Soon after starting coaching I went to another club, TTV Korenbeurs in Schiedam, to find out what junior coaching would actually look like…. They asked me to come with them on their October training camp in Lanaken, Belgium to coach there promising U11’s. Basically I was thrown in the deep. Coaches who’ve influenced me at Korenbeurs over the years were Hans Waterreus, Emma Lingen and Luc Janssen, all in different ways. Although I worked the most with Hans and Luc, I still remember a short conversation I had with Emma. As Emma asked me what I would like to achieve as a coach, I answered after a bit of thinking that I wanted to coach a team to compete at Dutch National Junior level C. This would be a step up from the regional organised leagues, about 6 tiers. She asked me, why not National Junior level A? This left me stunned as I thought that would be far out of my reach. That conversation has always been in my mind and later I realised that was not out of reach at all. I’ve coached boys and girls winning the Dutch National Junior league, the boys being the youngest ever to win it! Later I was influenced by a number of coaches: Theo Rieken and Achim Sialino, being excellent coach educators and mentors. Segun Toriola, a professional player I had the privilege to work with. Peter Engel, Leszek Kucharski, Christer Johansson and Viorel Filimon, very experienced international coaches. Obviously there were more people, but it would go too far to mention all. I enjoy the interaction with players. I enjoy finding different ways to improve players. No two players are the same. I enjoy organising the session, who plays who, so everybody will get the most of the session and there is a group atmosphere. There’s always the stigma of table tennis being an individual sport. The sessions I run I try to create a team or club atmosphere where players learn to train together and respect each other. In the end I hope this will help them in their individual matches as well, building up confidence and having the support of other players. To me it’s not so much what exercise players are executing, but why and how they play a certain exercise. So in that way my favourite exercise would be: make up your own exercise (footwork or service). Asking players to think and make up their own exercise helps me to figure out what they are thinking and gives me the option to reinforce that they’re on the right track, tweak the exercise a bit or point out the weakness of the exercise and helps them set a different exercise altogether. My favourite player is Wang Liqin. I regard him as the most complete player in his era and liked his style. For many years I’ve played with a Tibhar Charly Roesch blade. I still have one or two of them. As a junior I remember playing with Tibhar Spico Speedy spin on my forehand and Tibhar Speedy Soft (Short pimples) on my backhand. Nowadays I’ve got a range of bats I predominantly use for coaching. I’ve got a Tibhar CCA blade with Evolution MX-P on my forehand and EL-P on my backhand. I use this for matchplay and for players to experience a faster blade with faster rubbers. I’ve got also blades with Speedy Soft and Grass Ultra on my backhand to develop players games with or against players with pimples and different playing styles. I use my old Charly Roesch blade with just one rubber (MX-P) for multiball feed. Enjoy your game. Look for improvement. There are so many areas of the game that you can improve that the process never stops and it will always be exciting. The longer it takes you to acquire a certain skill, the more you appreciate it once you’ve mastered it. Don’t let the ranking determine how you feel! Outside table tennis I enjoy spending time with family and friends. During the holidays I try to get some scuba diving in. I also enjoy reading books. I try to find the right balance between reading for entertainment and for self development. 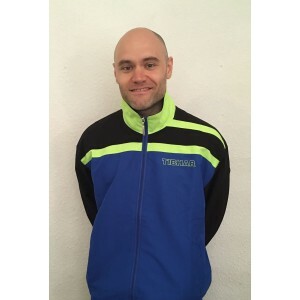 Paul is a full-time professional Table Tennis coach – working at a regional, county and school level and is Head Coach at Blitz TTC. Redlands TTC (Worksop) and Blitz TTC (Gainsborough). I’ve been coaching professionally full time for the last 4 years, but have been coaching for a total of 9 years. I first started coaching because I wanted to give other people in my local area the opportunity that I never really got, which was access to coaching locally, and I also wanted a new challenge within the sport. I love the challenge and seeing the look on a players face, when they start to achieve something that they never thought they could achieve. Whether that be something performance related, that we have been working really hard on together, or outcome related, its just really good to see and makes all the hard work worthwhile. I don’t think I have a favourite exercise. Maybe the players I work with might tell you different. Kalinikos Kreanga – I remember watching him play against Samsonov in the World Championships quarter final in Paris, in an epic 7 set match. Was a crazy match and I just remember thinking “I want a backhand like that”. Ever since then I’ve just loved watching him play. Joola Flame Fast Blade with Rhythm Original on FH and Rhythm 425 on BH. Just enjoy what you do and try to learn as much as possible. I play cricket at a weekend in the summer when I’ve not got anything else on. I also play Drums, which is great for stress levels and when you’ve had a tough day. 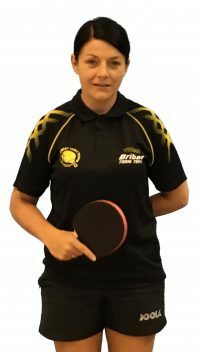 Jo is the Lead Coach and Secretary at Torbay Table Tennis Academy. She played in the First Women’s League in Poland whilst completing her University Course. Age 35, married to Kris Piwowar with two children, Jakub 9 and Kacper 7 yrs old. I coach all ages and abilities at Torbay Table Tennis Academy, develop Table Tennis at secondary school Torquay Academy and since 2016, I work with the boys and girls first teams at University of Exeter. I started coaching in 2001 whilst studying at University. In 2011 together with my husband we opened Torbay Table Tennis Academy. No influence really just wanted to coach and help other players to develop their Table Tennis skills. I like to see how the players develop their skills from the moment they join the club. Seeing the progress in every player, doesn’t matter what level they started, is very satisfying and shows us that we are doing the job right! Multi-ball training is my favourite part of coaching. It is a moment of the training session when a player and coach give a 100% commitment and focus. Multi-ball training is very universal – I use it while coaching 5-8yrs old children, performance players and over 50+ seniors and all groups enjoy it, which is the most important part of coaching. It is hard to say one name, as I have never had a player who I wanted to follow. I love to watch games of top players and take little things from each of them. If I have to give a name it would be Romanian player Danielle Dodean, European Champion, great ability on both wings and mentally a very strong player. Joola Rhyzm rubbers with a Tibhar Balsa Allround blade. Give 100% of yourself in every session, as only then you will be able to judge the true results of your hard work. Relax with my family and travel. 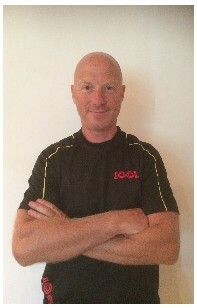 Kris is the Lead Coach and Chairman at Torbay Table Tennis Academy. He has played in the first league in Poland and was a National medalist in the youth categories. He also now works as a coach at the Talent Development Centre in Plymouth. 35 years old, married to Joanna Lacinska-Piwowar with two children, Jakub 9 and Kacper 7 who both play Table Tennis! Torbay Table Tennis Academy and Talent Development Centre in Plymouth. I have been coaching for around 16 years – I started coaching in 2001 whilst studying at University. Miao Cang Sheng, who was a well-known coach in China but then became the coach in my club in Poland. To improve the technical skills of a players game. Irregular game exercises, because of the uncertainty of the opponents style and tactics, every player should have the capability to adjust their game. Example: short backspin serve, return long push anywhere, then topspin (Fh/Bh) from the whole table to the backhand until winning the point. I follow Jan Ove Waldner, he is phenomenal player with a great game instinct. I also like Greek player Kalinikos Kreanga, he has a very strong and reliable backhand and always takes a risk in his game. To succeed, everyone has to work hard and put all your efforts into training everyday. I love to spend my time with family. I also like a good action movie and in the winter I love to ski.